Just as it’s always better to take a bit more time in the shipyard than risk losing a vessel at sea, we have refined a process that ensures only the highest quality spirits are produced at our distillery. We grow our own grain, right on the distillery property. This allows us absolute control over which grains we select for the distilling process. We use a proprietary fermentation methodology that ensures only the healthiest yeast strains are used to prevent off tasting. 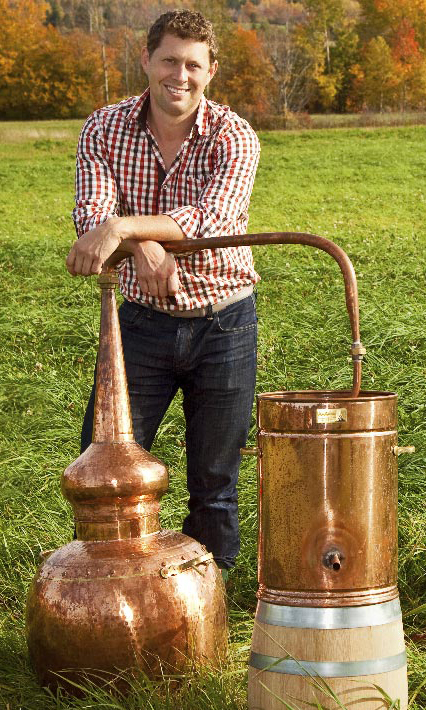 Using traditional still makers, we have customized our still design to give us the right reflux for our recipe. By using our unique mix of aging oak barrels, we can accelerate, slow, mellow and spice our spirit as required to ensure the perfect finish.